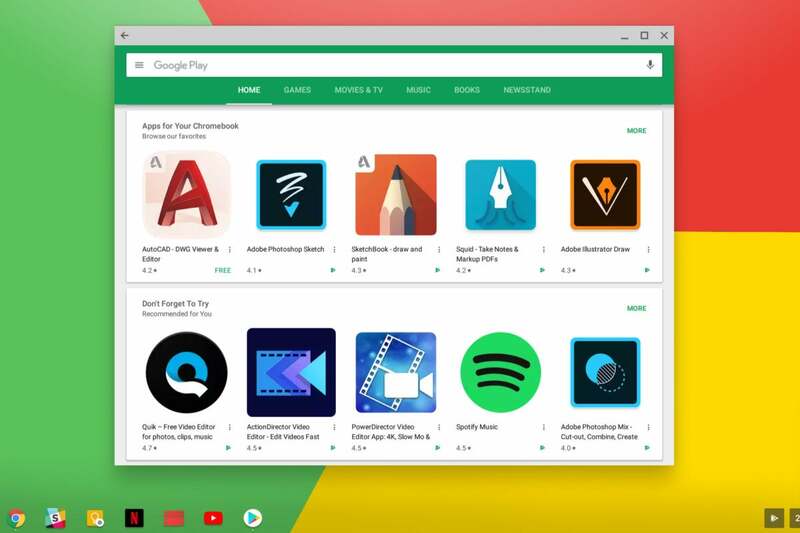 Turn your Chromebook into a uniquely versatile modern computing machine with these Chrome-OS-enhancing apps. We've heard plenty about how Android apps on Chrome OS are a big deal, but when you first find yourself staring at the Google Play Store on a dual-purpose device, it can be tough to know where to begin. Chromebooks were already quite capable without Android apps in the equation, after all, and many of the Play Store's most popular titles are also available in web-app equivalents. Sure, you could install the Google Docs Android app or the Twitter Android app onto a Chromebook, but you'd get better and more complete experiences by using either service's web-based counterpart. So why bother? The trick is to figure out which Android apps actually enhance Chrome OS in a meaningful way — either by filling in a gap in the platform or by adding something new and practical into the experience. But in a sea of overlapping titles and mobile-specific utilities, singling out such a selection isn't always easy. That's why I'm here to help. I've spent countless hours living with Chromebooks and using them as both productivity and entertainment tools. I've explored the available Android app options and pinpointed the programs that expand a Chromebook's capabilities in measures that matter. I've even gone on business trips carrying nothing but an Android-app-enabled Chromebook for all of my work and (ahem) procrastination needs. Start with the titles below — all free, unless otherwise noted — and watch your Chromebook transform from a cloud-centric laptop into a platform-defying all-purpose device. We'll kick things off with the most obvious of the bunch: If Google Docs doesn't cut it for you and Microsoft's Office Online offering is equally inadequate, the Android versions of Word, Excel, and PowerPoint are precisely what you need. They're fully featured and fantastically familiar, as long as you have an Office 365 subscription — and they fill a formerly unaddressable void left by Microsoft's lackluster web options. Evernote users, take note: The Android version of the app boasts offline access and a more touch-friendly interface than its web counterpart. It also has some nice additions like the ability to create a quick note via an optional persistent notification. OneNote's Android app one-ups its web-based equivalent by providing offline access to your notes along with enhanced handwriting support. What more do you need to know? 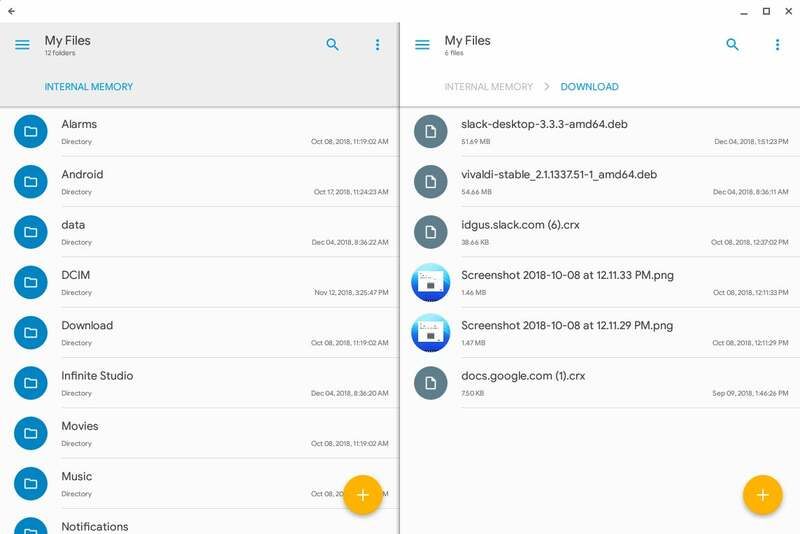 The native Chrome OS Files app is fine, but you can give yourself greater file management power with Solid Explorer, an Android file manager app that's optimized for Chrome OS support. Solid Explorer allows you to use a two-panel view for easy dragging and dropping of files between multiple locations — including your regular local storage, the area of your storage dedicated to Android app use, and cloud-based storage from a variety of compatible providers. It can connect to your own personal or company FTP or WebDav server, too, and it lets you add additional layers of encryption to files in any of those locations. Among other advanced features, Solid Explorer provides two panels for easy dragging and dropping between locations. 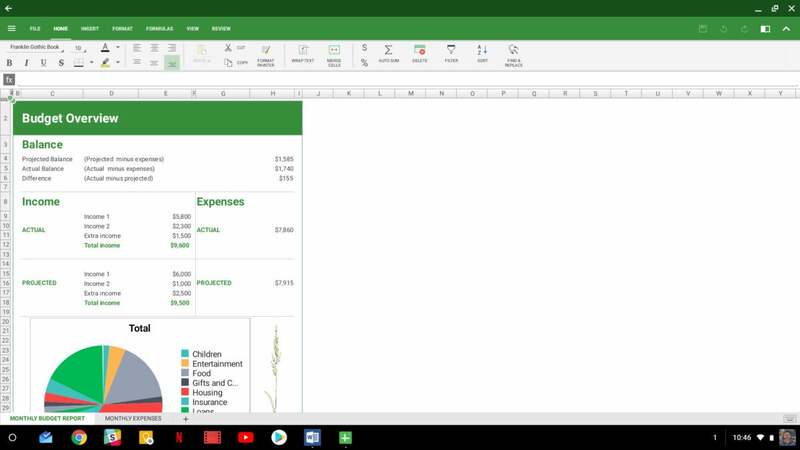 Solid Explorer costs $2 after a two-week trial (and just like with OfficeSuite and any other paid Android app, a single purchase will allow you to use the app on your phone as well as your Chromebook). For many people, Chrome OS's long-standing Achilles' heel was its lack of a video-call-capable Skype client. This shortcoming is fixed by way of the Skype Android app, which keeps face-to-face conversations a couple taps away. I know, I know: Hangouts? In 2019?! Google's messaging strategy may be a mess, but its ever-pivoting Hangouts platform still provides one super-useful function for any Chromebook user (for a little while longer, at least): the simple ability to make and receive actual phone calls, from your own number, using only your computer and a regular data connection. Just install both apps, make sure you have either a Google Voice account or a verified phone number, and then open either app and tap the phone tab to get going. 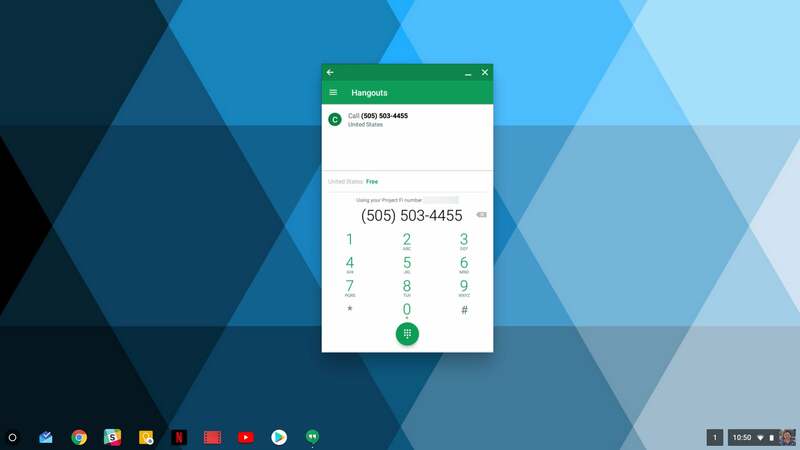 Your laptop becomes an extension of your phone with Google's Hangouts Dialer and Hangouts apps. If you rely on Facebook's Messenger system for any sort of communication, using the standalone Android app is infinitely better than keeping the full Facebook website open all day (or picking up your personal phone every time a new message comes in). Just note that you may want to go into the app's settings and disable "chat heads," as (a) they're kinda distracting in general, and (b) they don't work consistently well on all Chromebooks. Stuck living in Microsoft's email universe? Leave Outlook's lackluster web version behind and give yourself the pleasure of using the Android app instead. It provides offline access to your email and is noticeably faster than its browser-based brother. 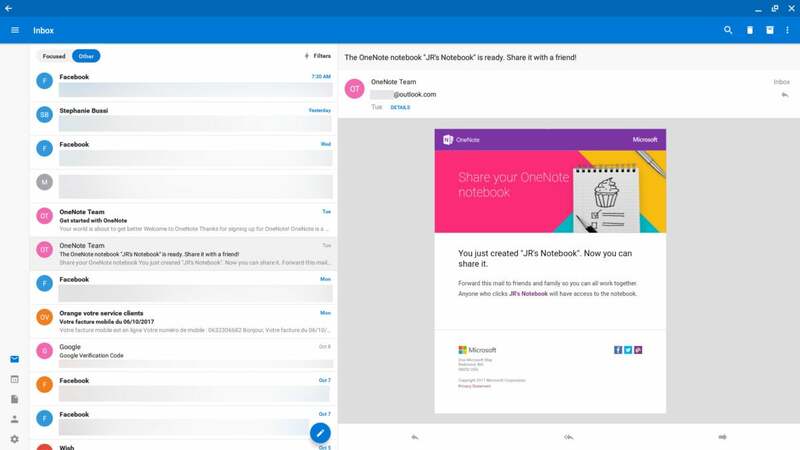 The Outlook Android app runs circles around Microsoft's web-based email interface. Google Calendar's web interface may be sporting a fresh facelift, but the Android version of the service still has the more contemporary and touch-friendly UI — and it works offline, too, something the web version surprisingly still doesn't do. Especially if you're accustomed to using Calendar on your phone, it's well worth having the app around on your Chromebook. If you use Trello for project management, trust me: You'll want the Android app for any touch-oriented work. It'll feel like you're working on a tablet instead of clumsily trying to claw around a website with your finger. Google's excellent Trips app automatically compiles itineraries based on info present in your Gmail inbox (flight confirmation emails, rental car receipts, and so on) — and even offers discounts related to your plans. It's available only as a mobile app, but now that you have a Chromebook, that restriction's irrelevant. 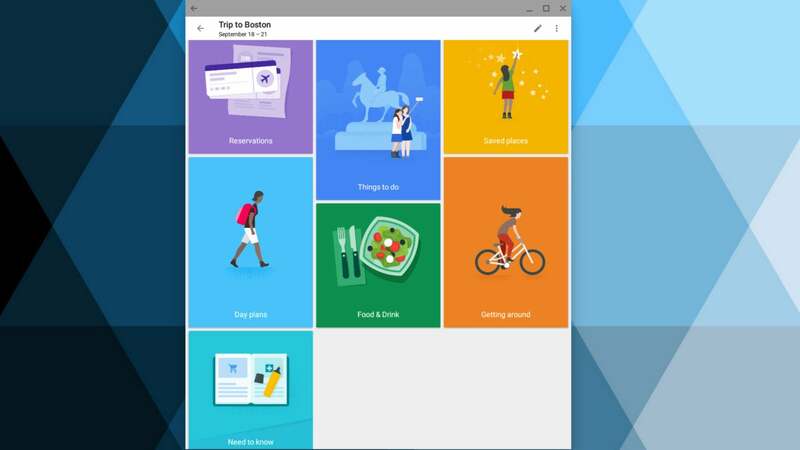 Google Trips doesn't have to be mobile-only when you have a Chromebook around. Maps' web interface is no slouch, but the Android app gives you a slew of time-saving touch gestures as well as useful extras like traffic alert notifications. If you've got a Chromebook with a stylus and like taking notes by hand — and then having them converted into regular, copy-and-paste-ready text — this $10 note-taking utility is well worth your while. The awkwardly named MyScript Nebo gives you a powerful set of tools for writing and drawing on your device's screen. You can format text and even draft diagrams, and the app will translate everything you do into plain text, HTML or a fully formatted Word document that's ready to be shared with your team. MyScript Nebo translates all of your stylus-made scribbles into regular formatted text. 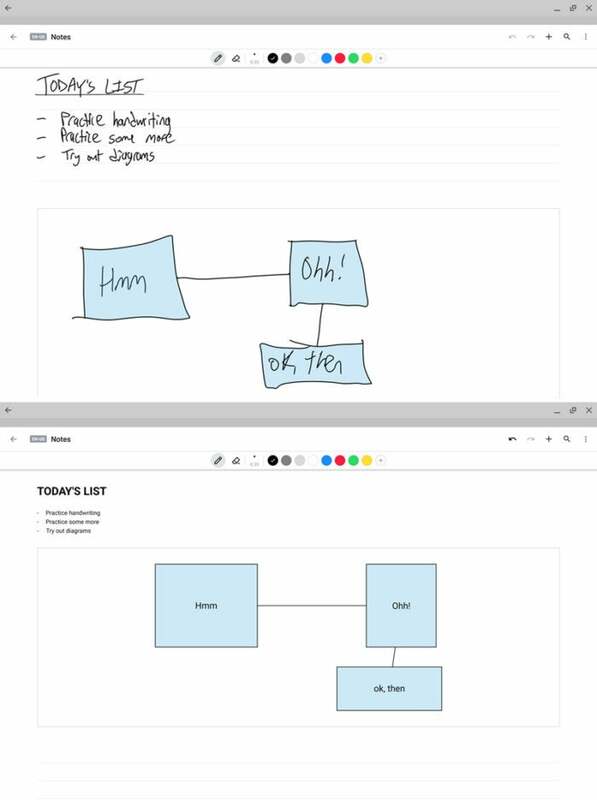 Squid is less about converting your handwritten notes into text and more about giving you a robust canvas for scrawling out info and leaving it in that pen-created form. The app makes it simple to import PDFs or images and then mark them up as needed — or to create new virtual papers from scratch — and then to export your work as a PDF, PNG, or JPG or even cast it to a Google-Cast-ready TV. You can get all of the app's features by paying a $1-a-month or $10-a-year subscription — or, in what strikes me as a better all-around arrangement for most people, you can get the most significant premium features (PDF importing and an expanded tool set) for a total of $8 in one-time in-app purchases. 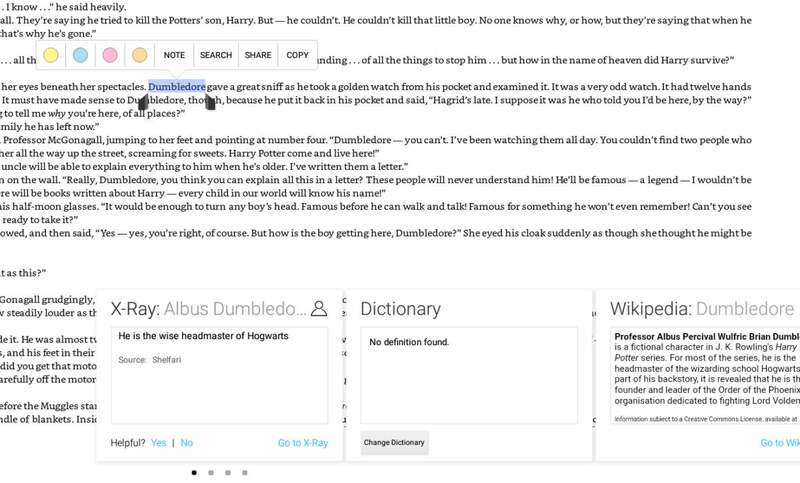 Xodo does one thing and does it well: It makes it dead simple to write on, highlight, and annotate PDFs. If you need to fill out forms by hand or mark up the occasional document and don't need any of the frills the previous two selections provide, this free and easy-to-use app — also my recommendation for the best PDF manipulation program for Android devices — is the one for you. 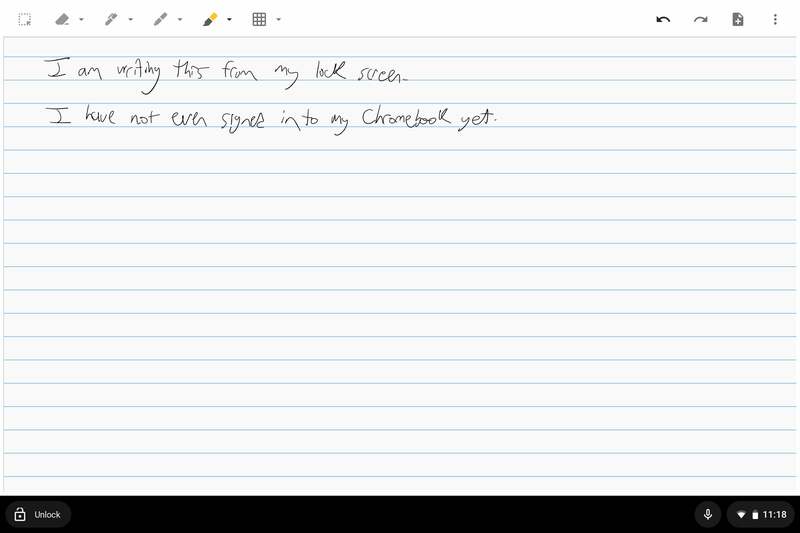 Google's note-taking service has a perfectly functional web version, but when it comes to stylus support, the Android app is what you'll want on your Chrome OS device. The Keep Android app is much better suited to pen-based input, thanks to its built-in tools and settings for controlling the color and thickness of your "ink," and it even has the ability to add a variety of paper-like grid lines into a note to make it feel like more of a natural writing environment. Perhaps most noteworthy, though, the Keep Android app can be made accessible for quick note-taking directly from your lock screen — a potentially handy feature no other app can provide. The Google Keep Android app allows you to take notes directly from your lock screen with an assortment of stylus-optimized additions. Ever need to sketch out ideas for an important company presentation (or, y'know, maybe just your own in-between-meetings amusement)? Autodesk's popular SketchBook app has your name written all over it — especially if you have a Chromebook with a stylus. And best of all, it's now completely free to use with its full set of features, some of which previously required a $5 in-app upgrade to access. The truly artistic among us can illustrate concepts at a professional level with the aid of Infinite Painter. This is another title designed to take full advantage of a pressure-sensitive stylus (and another one that goes to heights no web-centric software can achieve). The base app is free to use, though you'll have to pay to unlock various tools and elements — $8, if you buy 'em all together in a bundled package — following a week-long trial period. 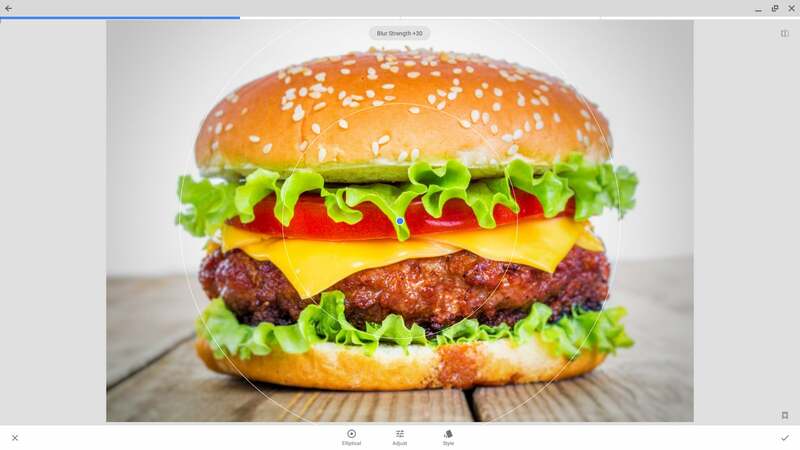 Google's mobile image-editing app is really good — and also ridiculously easy to use. Throw it on your Chromebook and prepare to polish photos like a pro (and in a way that was previously impossible on the platform). The Snapseed Android app makes advanced photo editing a snap. Heads up, Netflix subscribers: The Android app lets you download content for offline viewing — a feature you won't find on the regular website. Load up some videos before your next business trip, and watch your MacBook-toting colleagues ogle with envy. Like Netflix, YouTube offers the option to download videos via its Android app — a fine reason to keep it handy on your Chromebook. There's just one catch: You need an active Google Play Music or YouTube Premium subscription for offline viewing to be enabled. Keep up with your favorite podcasts on your computer with Podcast Media's exceptional Pocket Casts app, which automatically syncs your favorite shows and listening progress across all your different devices. The app costs $4 (and saves you from having to pony up an extra $9 for the standalone web player). Using Amazon's Kindle service to keep up with your reading? The Android app puts Amazon's Kindle Cloud Reader to shame with swipe-based page turning, a bevy of advanced options, and a better overall user experience. The Kindle Android app is a major upgrade from Amazon's Cloud Reader. If Play Books is your reading service of choice, you'll find the Android app to be noticeably nicer than its web equivalent thanks to the presence of page-turning animations along with a variety of touch-friendly options. The app also lets you highlight and select text with a stylus. You don't technically need the Play Music Android app for offline access to your tunes, but you'll almost certainly want it. Unlike the web app, which simply lets you download the music you own in MP3 form, the Android app lets you pin any albums, songs, or playlists available in your collection onto your device for offline enjoyment. You can even pin stations, provided you have an unlimited listening subscription. And regardless of what type of arrangement you prefer, you can use the app's regular interface to browse all of your downloaded audio and control playback. Here, too, the big draw for subscribers is offline support, available only with Spotify's mobile app. Because sometimes, the right song is practically a requirement for getting work done. This article was originally published in Oct. 2017 and updated in Feb. 2019.